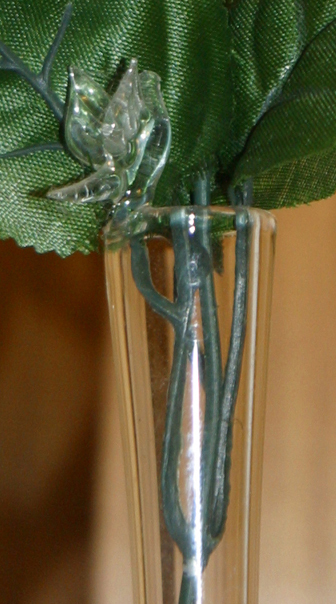 Argon-glass, depending on the manufacturing process, is either a rheopectic or a dilatant non-Newtonian fluid. For a rheopectic fluid, the longer a stress is exerted, the greater the viscosity. For a dilatant fluid, the viscosity increases with the rate of stress. The Mentecians developed argon-glasses in the year 2150 as a result of their research into improved body armor and sports padding. Dilatant padding would protect against rapid stresses, such as bullets, spears or arrows. Rheopectic padding would protect against more slowly exerted stresses, such as knife stabs. A combination of the two protects against a wide variety of blows. Both forms absorb thermal energy and, in particular, they absorb beams from personal laser weapons. They also make good insulation for buildings and winter clothing. 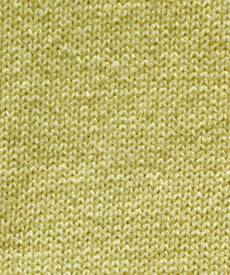 Natural or artificial fibers are usually mixed with the argon-glass fibers (so that they can be dyed) and knit into clothing. Argon-glass is so efficient at dissipating blows that clothing made with it need not be heavily padded and can be practically indistinguishable from conventional clothing. Although the argon-glass fibers protect the wearer, they do not protect other fibers in the clothing from damage. A combatant might survive the battle but could come out of it looking pretty disreputable. Argon-glasses are manufactured by melting silica (silicon dioxide) and treating it with fluorine to produce O-Si-O-F bonding. This tends to disrupt the randomly sized O-Si-O rings which would normally be formed in the glass. Although usually considered to be chemically inert, the Mentecians found that argon, diffused into the fluorinated glass as it cools, forms semi-covalent bonds with both oxygen and fluorine atoms. This restores the random ring structures in the glass and keeps the argon trapped inside the three-dimensional structure of the rings. Stress, either mechanical or thermal, causes the semi-covalent bonds to break and reform, giving argon-glass its rheopectic or dilatant properties. Although individual Mentecians are widely employed as mercenaries, the Mentecian culture is not warlike. So when they developed the technique for making argon-glass they felt it only sportsman-like to sell the information to others. As a result, argon-glass clothing is widely distributed in the Stellar Economic Community. Arti-grav: The system in a starship that maintains artificial gravity. (Golden Needles) The system tends to resist the transfer of blows to the ship to its contents. Autocamera: A robotic camera used in the production of vid programs. Caresthetics: Caress + Esthetics - Something that I thought up years ago, but don't remember much about now. I think this has something to do with the science of how things feel and how those perceptions affect us. I found a piece of a short story that I was going to write about caresthetics as an art form. This is now in my paper file. Corridor: The path between two stars that is guaranteed to be clear of hazards for the exclusive use of starships. The path is an imaginary tube that deviates from a straight line to avoid star systems or other corridors. When traffic is light the corridor is considered a "white corridor" and divided into two lanes, relative to the galactic north and south poles, with traffic restricted to the north region of the corridor in one direction and to the south region in the opposite according to Visual Flight Rules. When traffic is heavy, multiple corridors are defined, each restricted to a specific type and direction of traffic (inbound, outbound, hazardous, commercial, etc.) In this case the corridors are given "color" designations. For example, a "yellow corridor from Adondus to Zeta 4" is restricted to commercial traffic.